(MoneyWatch) Expecting to recoup most of the money you poured into home improvements when it comes time to sell? Think again. In fact, some projects can actually reduce the value of your home. And you may be surprised by how innocuous these value-damaging, home improvement projects are. If you want to make smart upgrades to your home, keep in mind that even the projects that offer the best return on investment don't often fully recover the cost within a year of sale. Can your home make you healthier? According to Remodeling Magazine's latest cost versus value survey, even the projects that offer the biggest bang for the buck -- installing a steel front door, adding a wooden deck and making minor kitchen remodels -- won't add more than 85 percent of the cost of doing the remodel to the value of the home if you sell within the first year of completing the work. The lesson? Make such improvements for yourself or your family to enjoy. Above all, avoid the five following improvements, especially if you're hoping to sell soon. They simply won't add any value to your home, at least not enough to pay back the cost of the project itself. Even if you live in a sweltering hot climate and can easily picture your friends and family lying by the pool on a hot summer day, potential homebuyers may not. Instead, they're imagining hours of upkeep, expensive costs and dangerous liability. "You never know if a potential buyer wants a pool," said Leticia Jimenez, a real estate agent for @properties in Chicago. "It could be a deal breaker," particularly with families with young children. If buyers aren't interested, you might be throwing tens of thousands into your swimming pool project without getting a single dollar back in the sale price. On the other hand, if everyone in the neighborhood has a pool and you don't, not having some sort of water feature could hinder your ability to sell for top dollar. That's the most important time to consider making that investment. You want a beautiful front lawn that complements your house when it comes time to sell, but how you spend that money really matters, Jimenez said. There are two problems with fancy landscaping: taste and upkeep. You may love those wrought-iron fences around your yard, but a potential buyer may not like fencing at all. And while you enjoy spending your Saturdays meticulously tending your array of exotic flowers, buyers may see a drain on their time and energy. Instead, keep it simple with native plants that require little water and maintenance. You'll spend less overall for a picture-perfect yard. Not long ago, wall-to-wall carpeting was the norm in many suburban homes. Today, that's not the case. In fact, many home buyers prefer hardwood floors or a wood/carpet mix. Instead of choosing a wall-to-wall option, consider refinishing old hardwood floors, which cost about the same or less than installing carpeting. Installing new hardwood floors could cost more, but there are laminate floor options that look great and that are much less expensive than solid hardwood. And, it's rare to find a buyer who balks at hardwood, design experts say. Many people think high-end upgrades will increase the value of their home, but that's not necessarily true. The amount of money you spend on top-of-the-line appliances in your kitchen, rare marble countertops or imported tiles for your bathroom may do little to increase a home's price. Heather Dalskov, an architect and designer with Normandy Remodeling, said you won't usually recoup the value you put into high-end upgrades. Buyers don't understand the cost that was put into the renovations -- and may even be shocked if they knew. That could translate into a huge loss for you since buyers won't pay for value they can't quantify. Adding luxury upgrades piecemeal throughout your house also poses problems because the quality and style aren't consistent. "If the rest of your house isn't as nice as your high-end kitchen, that will actually detract value from your home," Dalskov said. Just because you spent a lot of money on new plumbing or a new HVAC unit doesn't mean the potential buyer will pay you more for the property. Necessary, not not showy, improvements, like new paint and carpet, don't add value because buyers already expect these features to be in good condition. They don't feel they should have to replace the wear and tear you caused while living there. It is always a good idea to invest in these projects for maintenance reasons, but not for an investment in your home's value. 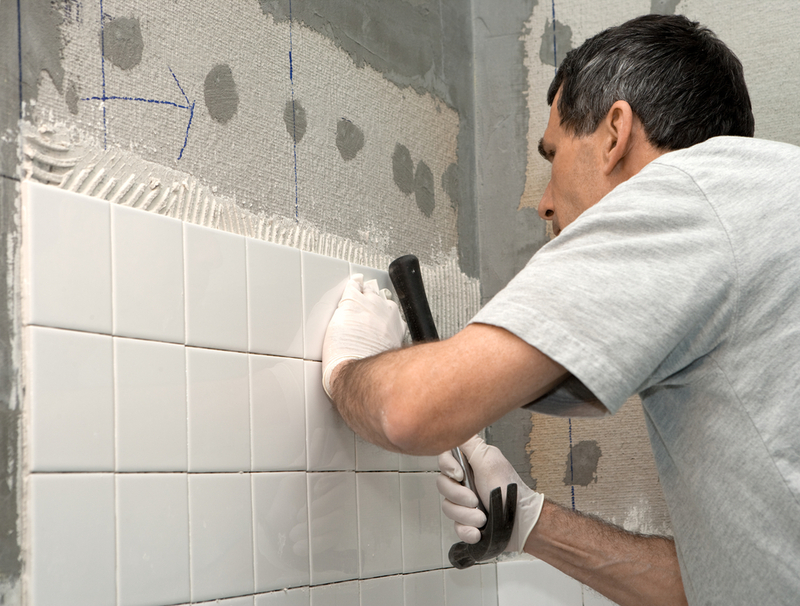 Don't make basic repairs assuming buyers will notice and pay more.